This is quite a clever idea and it is a fun look for a family with young children too. There are several ways to get this done, and the one you choose is completely up to you and your taste. One way is very simple and the other way is more work but it looks sleek and shiny. You could do this on any wall in your home, but the kitchen seems to be the most unlikely place, so it looks pretty amazing if it’s done right. Here is how to turn a kitchen backsplash into a message board. Pick a dark color of chalkboard paint and paint the backsplash area in your kitchen. Buy some chalk and your board is done. You can create your own designs on the wall with your chalk and clean it off when you need a change. This way is more involved but it will be worth it when it’s done. 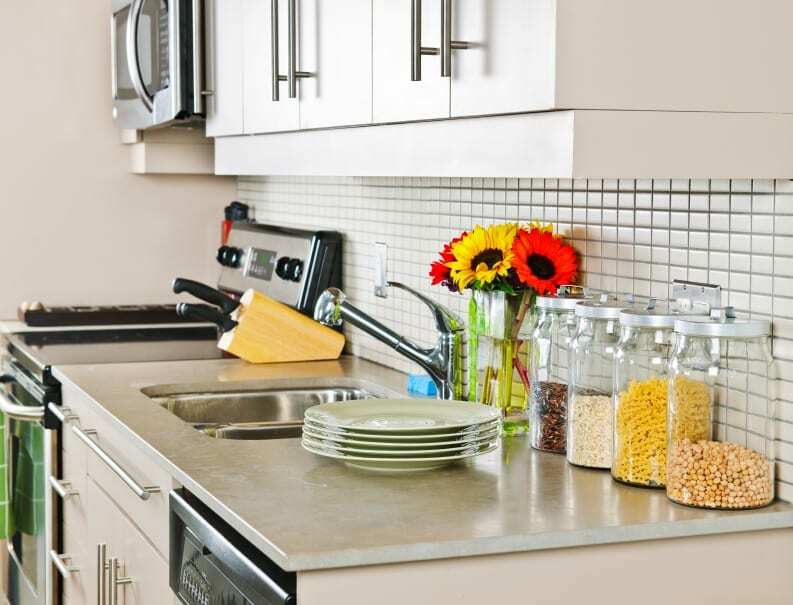 You will need to measure the backsplash area that you want your message board to be. This will involve Plexiglas, clear caulk adhesive, and your favorite color of latex paint. With those three items you can make a funky message board that will be the envy of all your friends. Top it off with a painter’s marker or chalk marker to write on your special board with easy cleaning. Make a template of your backsplash with brown paper bags taped together or use leftover wrapping paper. Make sure that you draw the electrical sockets and other obstacles. Take care that everything is measured properly and has straight and even lines. Now take your template and put your Plexiglas on top of it and draw out the outline of your template. You will need to cut out the Plexiglas to match your template by scoring it with a scoring knife or a jigsaw. Paint your wall with the latex paint and let dry. Now attach your Plexiglas after you have removed the plastic from it first. Use the clear caulk adhesive around the edges of the Plexiglas so it will stay up on the wall properly. When it dries you won’t notice the adhesive, just the color of the pretty paint and shiny glass. Now write till your heart’s content. The diy Network will show you how it’s done. There are proper tools needed to execute this properly, but don’t let that stop you. Working with the Plexiglas and scoring it by hand will be the hardest part of this project. Consider giving this job to someone else that’s handy if you don’t want to tackle it on your own, but please make this an addition to your kitchen because it is so adorable and useful.